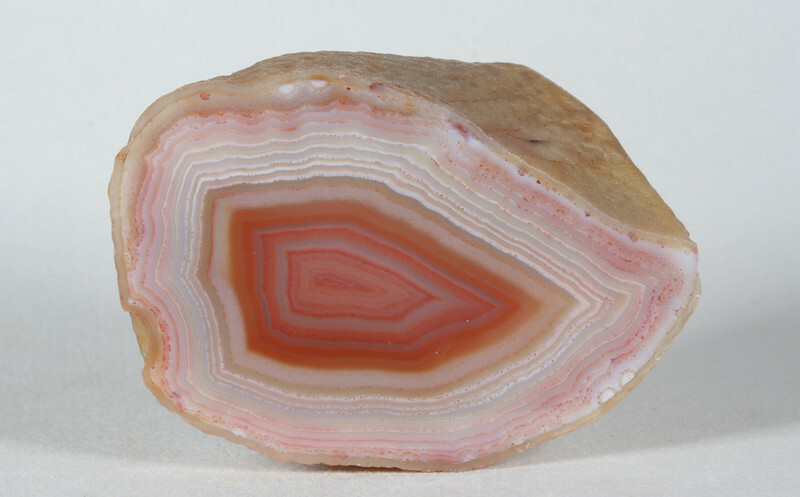 #0214 Patagonian Agate, Chubut province, Paso Berwyn area. I've never seen a Paso Berwyn with this sort of color intensity. The outer bands are tight. Perfect in all respects.